H. Rick Bamman - hbamman@shawmedia.com Former principal and long time Crystal Lake resident Ron Ludwig won a seat on the Community High School District 155 board. H. Rick Bamman - hbamman@shawmedia.com Former principal and long time Crystal Lake resident Ron Ludwig talks about his election to the Community High School District 155 board Thursday, April 6, 2017. 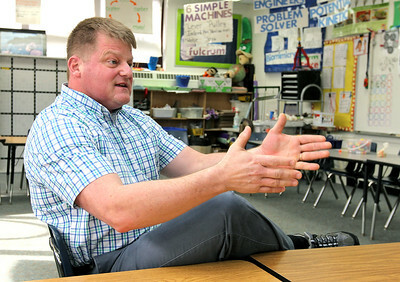 Ludwig currently teaches STEM classes at South Elementary School in Crystal Lake. 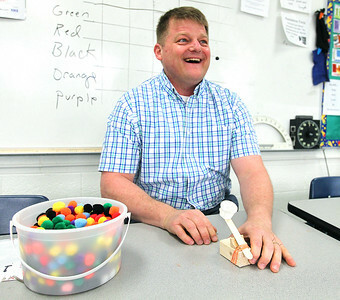 H. Rick Bamman - hbamman@shawmedia.com Former principal and long time Crystal Lake resident Ron Ludwig demonstrats in his South Elementary School a thrid grade STEM lesson plan on Thursday, April 6, 2017 involving a simple lever to crete a catapult. Ludwig won a seat on the Community High School District 155 board. 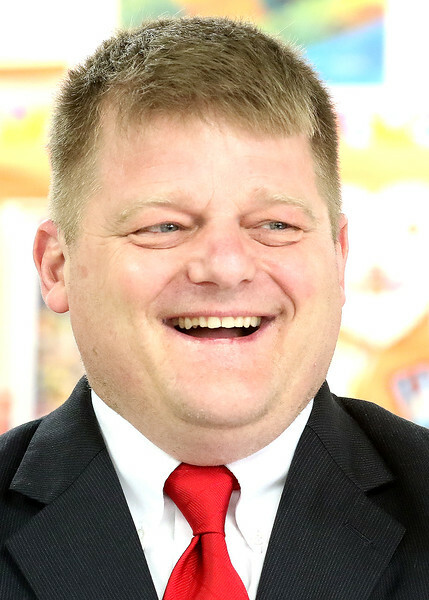 Former principal and long time Crystal Lake resident Ron Ludwig won a seat on the Community High School District 155 board.